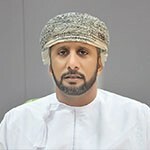 Salim Al Harthy is the CEO of MB Petroleum Services a 100% subsidiary of MB Holding LLC, Oman. 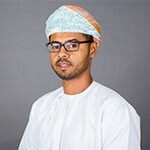 He acquired a degree in Petroleum Engineering from Sultan Qaboos University and an MBA Degree from Hull University, UK. He has over 20 years’ experience both locally and internationally in the oil & gas industry. 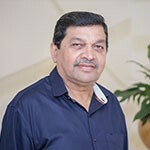 Before joining MB Group, Salim has held several management positions in reputed companies in Oman and outside Oman. Petant Abdul Husein General Manager is the General Manager Drilling & Work over. He acquired a Bachelor Degree in Mechanical Engineering . has +20 Year of experience as Country Manager and dedicated and dynamic Oilfield professional with +36 years of international experience in drilling operations and integrated drilling solutions management. Holds a degree in Mechanical engineering, joined MBPS in 2008, since then have taken roles of managing Completions, Slick-line & new technology (through agency) businesses with Major Operators such as PDO, Oxy, Daleel Petroleum, Petrogras and others. Before joining MBPS, he had worked overseas for Halliburton and SLB taking different regional assignments in various business disciplines in Pakistan, Yemen, India, Kuwait, Qatar and UAE. Ahmed Al Khodhouri is the General Manager Drilling Fluids and Mud Logging . He joined MBPS in 1995 as a Drilling Fluids Engineer. He acquired a degree in Bachelor of Science (Soil & Water) from Sultan Qaboos University. He has over 23 years’ experience in upstream oil and gas services project management and has significant experience in Drilling Fluids Chemicals and Engineering, Business Development, and New Ventures Establishment. During this period he was posted in various overseas assignments and roles including Country Manager of MBPS offices in Qatar, Saudi Arabia, Bahrain, New Business, Development Manager and CEO of MB’s Joint Venture Company in Iraq. Mahfoodh Al-Shaikh is the Senior Business Development Manager of MB Petroleum Services. Mahfoodh Joined MBPS in 2003 as a trainee drilling engineer. He acquired a bachelor Degree in Mechanical Engineering from Staffordshire University/UK and HND for Mechanical and Manufacturing Engineering from Wigan & Leigh College/UK. He has over 15 years’ experience both locally and internationally in the oil & gas industry. During this period he was assigned various local and international assignments.